One of the most important and often most neglected things we can do to protect the health of our pets is a yearly examination and twice yearly exams in cats over 7 years of age. The purpose of the examination is to find problems as early as we can. The earlier we find problems, the better the chance we will have of treating that problem with a successful outcome! Remember that cats age more quickly than we do. 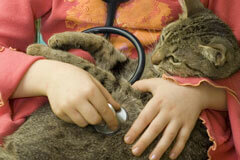 A yearly exam for a cat is similar to us getting an exam every 5-7 years. A lot of changes can happen in that amount of time. The following is an age comparison chart by weight for cats. Many problems are first discovered by very observant pet owners. Get to know your kitty well so you can notice problems that may arise before the next scheduled exam. 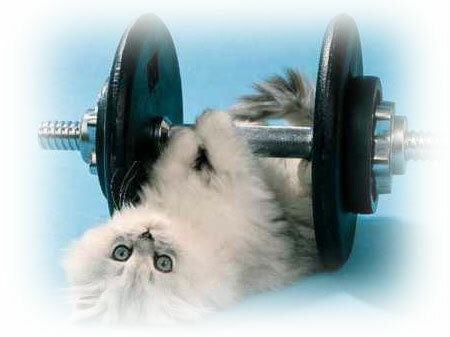 Become an active member in the preventative health care of your cat!